Following the news that Transport for London has privately warned that Crossrail 2 could be delayed by a decade, to the 2040s, in order to raise the funds required for the £31bn infrastructure project, newly released data shows that tenant demand has spiked since the Crossrail route was announced in February 2013. As the future of the line is called into question, the latest Landbay Rental Index, powered by MIAC, reveals that a significant rise in tenant demand in the four and a half years since the route was announced has pushed up rents in 13 of the 15 affected local authorities, led by gains in around north terminus Broxbourne. When the route for Crossrail 2 was first announced in February 2013, rents were falling in seven of the 15 local authorities set to house the new line. In the year that followed, a sharp rise in demand from tenants saw rents grow in all but one, Epsom. Overall in the four and a half years since the announcement was made, 13 of the 15 affected local authorities have seen notable rent rises, most notably in the North and West extremities of the line, namely Broxbourne (+21.5%), Enfield (+13.8%), Haringey (+11.4%) and Spelthorne (+10.5%). But the suggestion that Crossrail 2 could be delayed will cause concern for some buy-to-let investors who have invested along the new proposed route, which would tunnel from north to south London. The infrastructure project has yet to receive the go-ahead from the government, as City Hall and the Department for Transport tussle over its cost, and that may have contributed to the fall in rents witnessed almost across the board since last year. Enfield is the only area to have seen rental values +0.4% in the past year although by September rents had also declined here, by -0.2% last month. Meanwhile, Broxbourne (-1.75%), Richmond (-1.13%), and Spelthorne (-2.16%) are all showing signs of declining tenant demand. 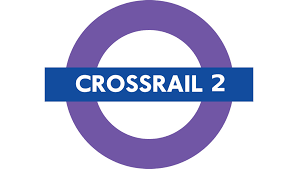 John Goodall, CEO and founder of Landbay said: “The idea of a north-south London railway dates back to the 1970s, but it was only in 2013 that we found out where Crossrail 2 would actually run. Planned infrastructure is a key driver of tenant demand, so rents and property prices along the planned line quickly followed suit. But news that the line may now be delayed by a decade is nothing short of a hammer blow to all those that have had the foresight to plan that far ahead. “What’s needed by tenants, landlords, buyers, business, and builders is a clear commitment from the government that the project will be delivered in 2033 as expected. Not only to help people and businesses plan their lives ahead, but also to allow adequate time for local authorities to plug housing shortfalls before demand spirals out of control.